Teacher Library Cards: A great resource for educators who want to maximize the benefits of our amazing Youth Services collection for their classrooms. To apply for teacher borrowing privileges, simply bring your personal Atlantic City Public Library Card to the Youth Services desk at the Main Library or Richmond Avenue branch. You must be a library member in good standing to qualify. For more information please contact Youth Services staff at 609-345-2269 X3050. 1. Placed under current introduction. 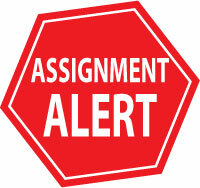 ASSIGNMENT ALERT is easy to use. Simply complete and submit the form below by clicking here. We will notify you of receipt of the form and contact you if we have additional questions. Please allow at least ONE WEEK'S NOTICE to help us better meet your needs! Introduce your students to our fabulous collection plus all the services offered by the Youth Services Department of the library. Schedule a classroom visit by clicking on the class visits button below. Introduce your students to our fabulous collection plus all the services offered by the Youth Services Department of the library. Schedule a classroom visit by completing and submitting the form below.